Can't believe I forgot to share my 4th of July shelf decor before I left out of town this past weekend for the Krylon ColorMaster Challenge in Ohio! 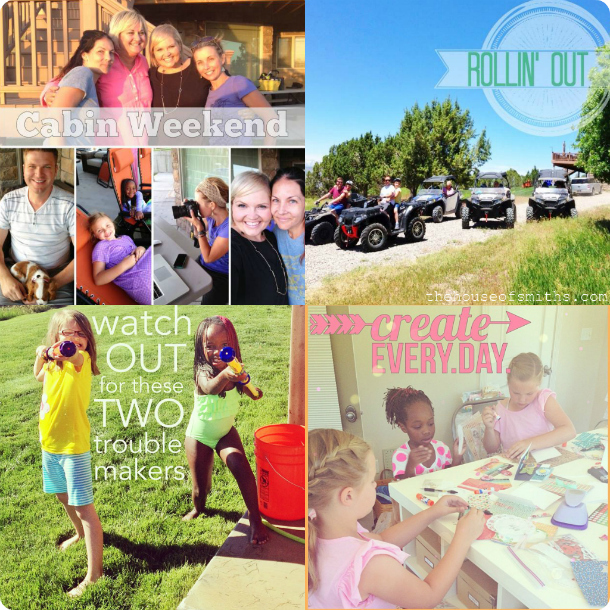 It's been ready for a while, but I've been running around like a crazy person, trying to keep up on all of our Summer plans and other things going on around here! Better late than never though, right!? Thank goodness I had my super crafty friend Margie with me the weekend I made it. A bunch of my good friends and I went to our friend Jamie's cabin a few weeks ago, (which was amazingly picturesque) and spent some time there together with our families. 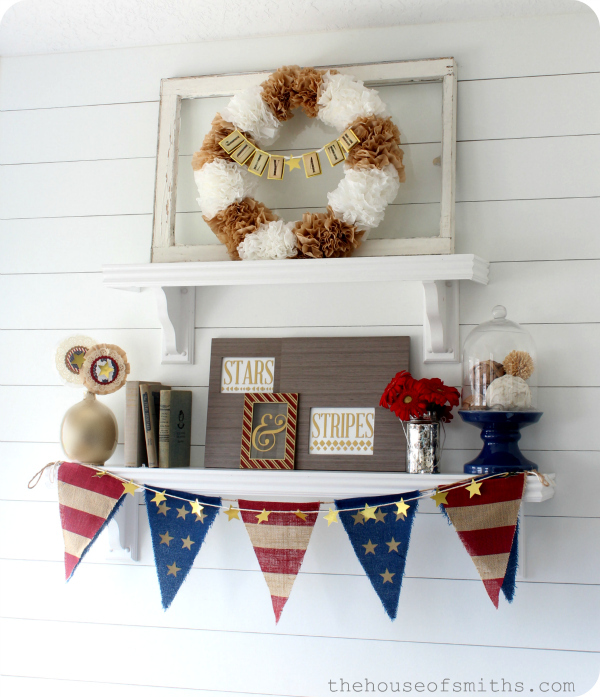 Jamie supplied me with a killer craft space to work in, and Margie got me all set up with the supplies I needed and helped me to come up with the cute little "July 4th" lettering idea in the center of the wreath! I love decorating for the holidays, and these shelves always sever as the perfect place to do it. 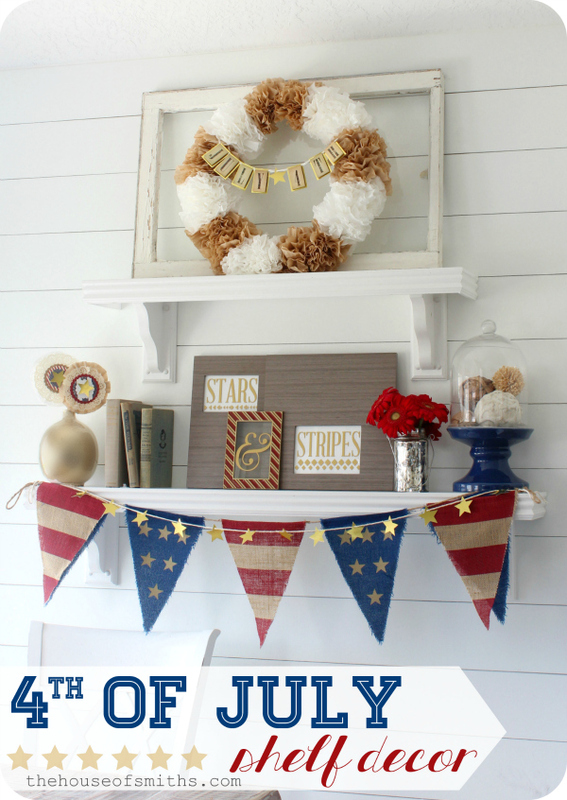 Did you decorate for the 4th and blog about it? Leave a link in the comments below, I'd love to come see! I Loooove this wreath, one of the prettiest ones I have seen. I can't figure out how you got it so full. Did you attach with hot glue or another way. Did you put them on both sides. LOVE this Shelley! I'm thinking of putting shelves up in our new house to do something like this. I would LOVE for you to take us thru your thought process when you decorate your shelves. Do you start with one item and build from there?...do you gather a bunch of items then place them, or do you start with just a few items and then think "Ok, i need flowers in this post...something tall over here" etc? Or do you maybe plan the whole thing in your head then try to find what you envision? 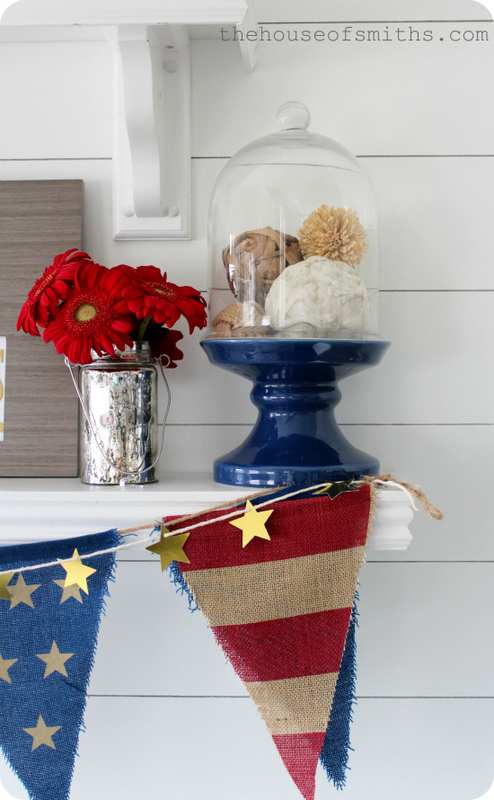 I start decorating for the 4th around Memorial Day. I love the reds, whites, and blues for the summer! 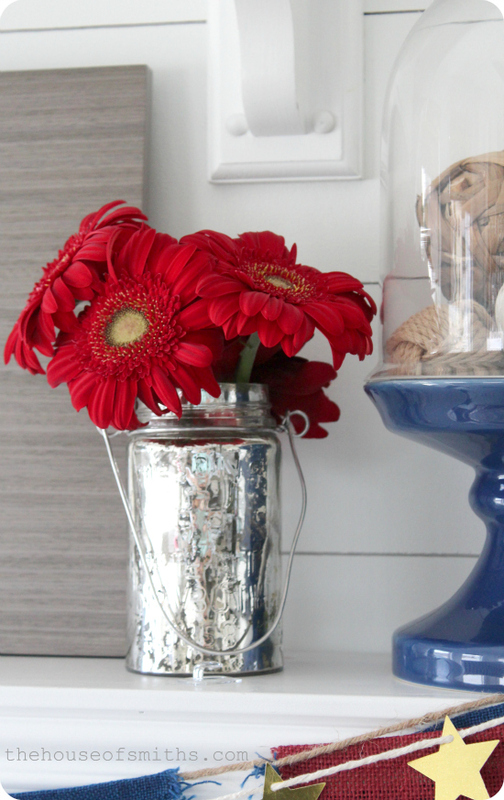 I love your wreath, such a great idea for any season! I love this so much! I picked up the same frames at Target, but never thought to use them like that :) Amazing as always! Happy 4th! love that banner! and as always love these shelves. As always, this looks amazing. You always inspire me! 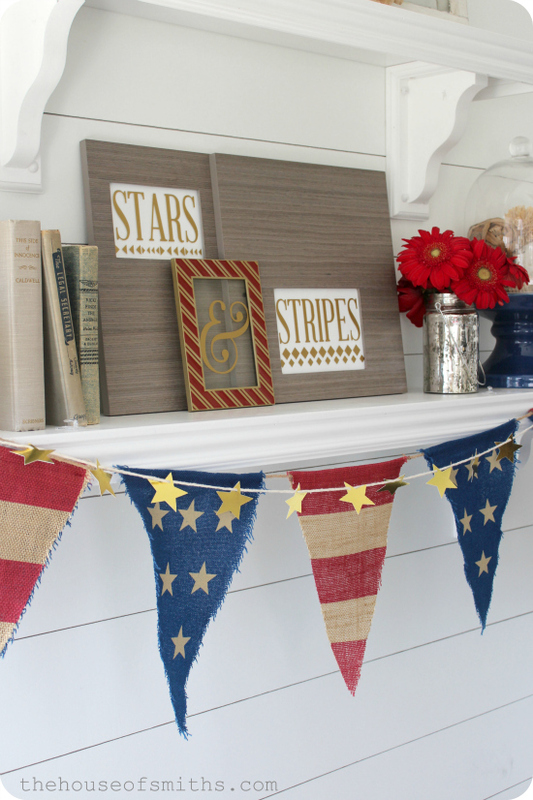 I love the banner and stars, they're a perfect addition and tie everything together. I love it! I did a pretty fun and easy backdrop for my 4th of July party. I hadn't planned to do much and that morning went out and created this flag backdrop from wrapping paper. I thought it turned out pretty fun! I love it all! 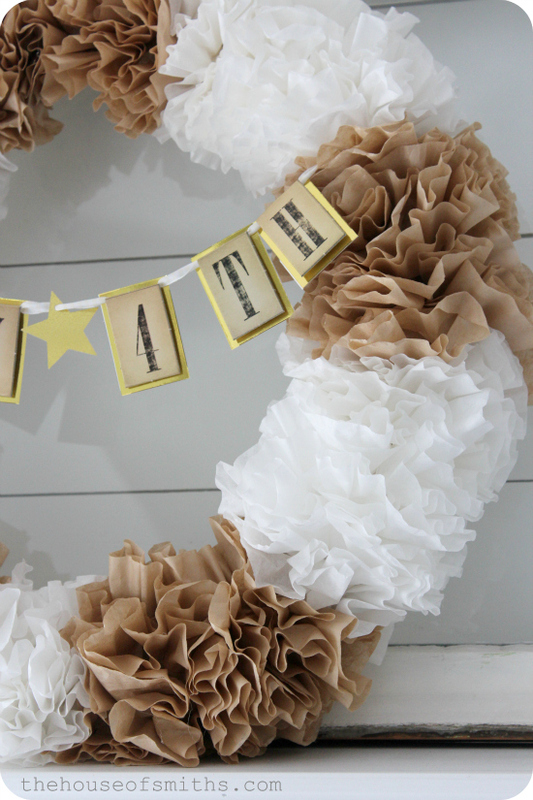 Do you have a tutorial for that adorable wreath?! Awww, it looks great!! 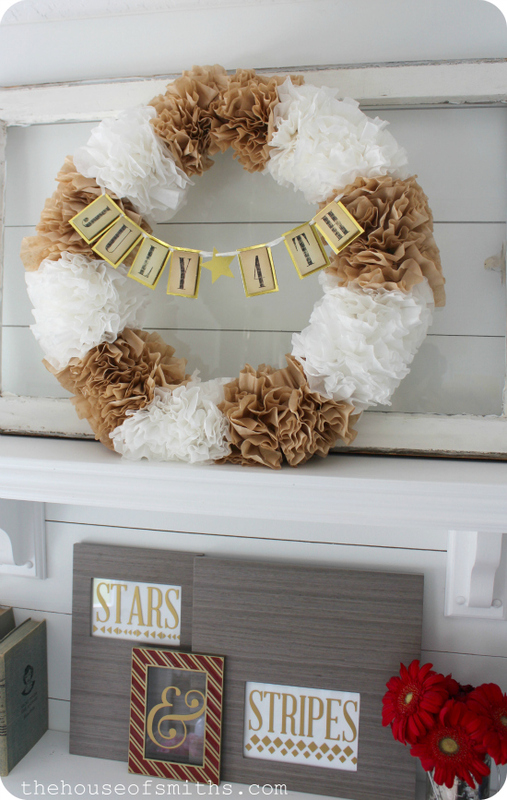 Love the gold/white wreath! Love it!! 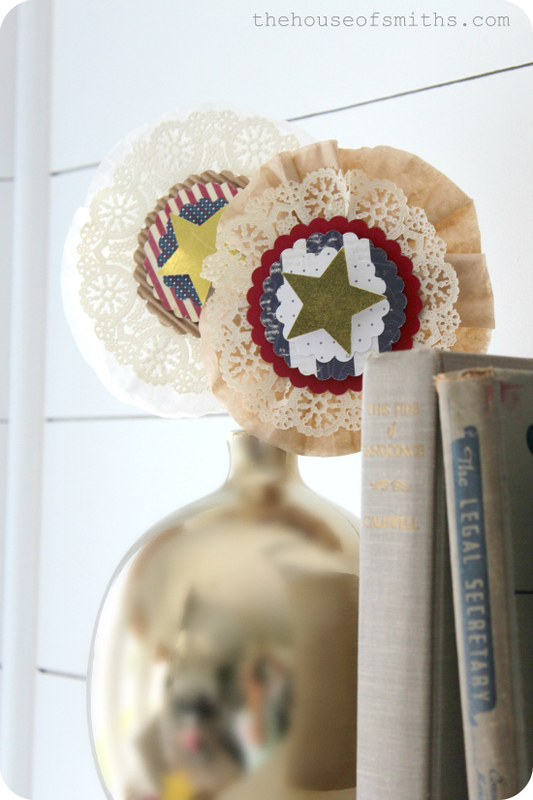 I decorated with some of Margie's ideas as well. LOVE her ideas! 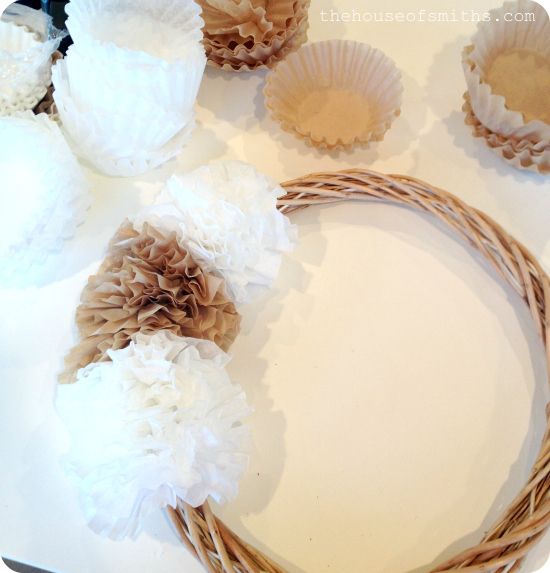 What did you do to get the brown coffee filters? I've got a Thanksgiving idea going through my head. I posted this comment a long time ago, but for some reason, my profile pic was missing and it shows a minus sign. So, I thought I would repost my comment. I bought everything to make the wreath, but haven't made it yet. I thought it might look nice on my door after Halloween, but I still would like to know how you made it :).